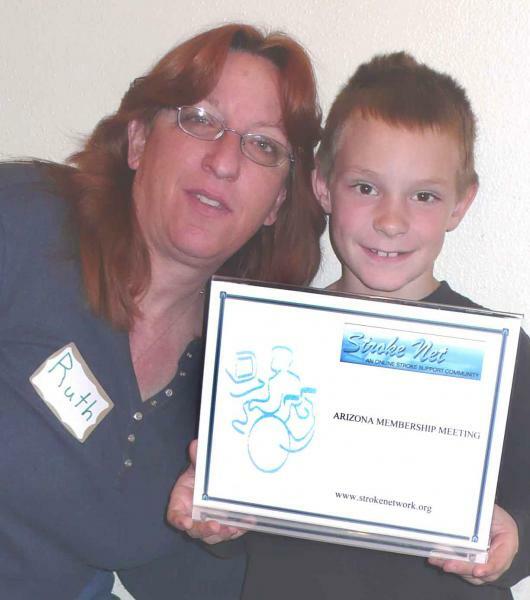 Stroke survivor Marcus and her son Garret - holding the sign. Steve sent me the wheelchair graphic and I grabbed the logo off the net. Denny (my husband) made the sign. I see Steve's fingerprints in this photo! How nice of him to provide the documents...at least I'm presuming he did. That was nice of Steve to do...Looks like pretty special guy for you. The picture of my hubby is with his friend Mr. Manatee. He is also a stoke survivor twice. We are thankful for the healthy he has been given. Life is most precious. Hope your finding grace.